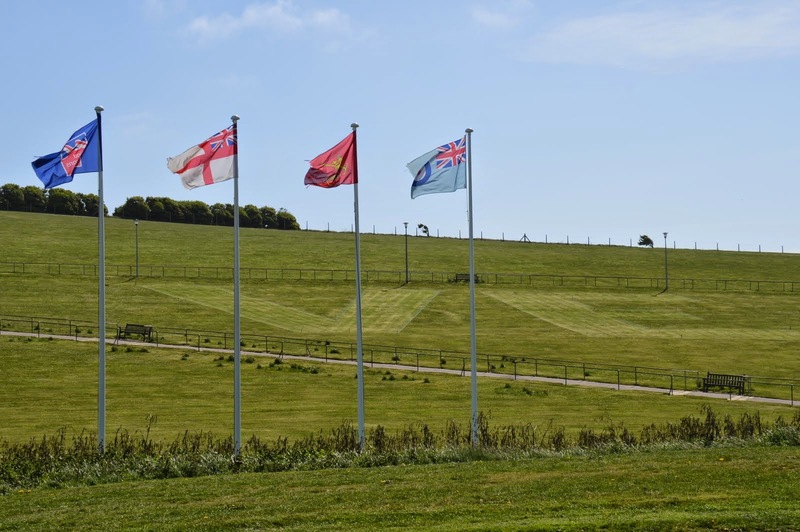 The Blind Veterans UK centre at Ovingdean, formerly known as St Dunstan’s, which provides support, rehabilitation and training for visually impaired veterans has found its own unique way to commemorate VE Day. The extensive grounds in the front of the building has had a large V and E cut out of the grass. Everyone driving along the seafront road can see this eye catching symbol of the end of the war in Europe.